Posted on December 29, 2017 by Skylar N.
I tried and tried and tried, I just couldn’t enjoy this book, I really wanted to, but I just couldn’t. It started off kind of weird, and If I am being honest, I skipped the prologue, It was very hard to follow. You have to know, I love history, so I assumed I would love this (I mean, how could I not?) but it was really just an odd book. I thought the whole novel was hard to follow and had moments where I had no clue what was going on. The book itself looks very nice, it’s a goregous graphic novel and the layout on the back matched it perfectly. I guess what I am trying to say is, that it would be much better as a shelf book then a reading book. I am so bummed I did not enjoy this book. I thank ‘Blogging For Books’ for graciously sending me an ARC of this novel. Posted on December 27, 2017 by Maya S.
Inspired by Marvel’s Thor franchise as well as the upcoming, Thor: Ragnarok, Gaiman’s book really took hold of my interest, as I could not help but pick it up. In Norse Mythology, Neil Gaiman re-paints the pictures of ancient Norse mythos to the modern eye, while still keeping true to its roots. It begins with the legend of creation of the nine worlds, or realms, as also described in the Marvel Cinematic Universe (MCU). There are dwarves and giants, gods and goddesses, and a small section about the mortals living on Earth. Two topics most compared were, however, the god of thunder and the god of trickery. Thor and Loki are considered brothers, despite their first introductions: Thor was the son of Odin, and Loki was the son of giants. There were no definitions of the type of these giants, so the MCU may have created their own story to describe Loki’s past. Moving past their beginnings, Gaiman takes the reader through an abbreviated retelling of the gods of Asgard and their troubles, especially with Loki. However, the author kept true to the end, rather called Ragnarok, as the myth goes. Norse Mythology was quite telling and insightful, as I was able to experience epiphanies, as holes in the myths were filled. Also an author of comics, intelligent children’s books, and intricate novels of the history of divinity, Neil Gaiman definitely made these myths into a worthwhile story. Fans of newly-popularized Game of Thrones, as well as the age-old Lord of the Rings, will definitely enjoy this light read for its crossover themes. 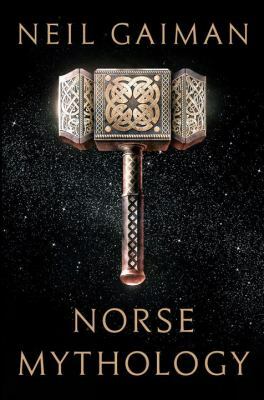 Five stars for Gaiman’s Norse Mythology! Norse Mythology by Neil Gaiman is available for checkout from the Mission Viejo Library. It can also be downloaded for free from Overdrive. 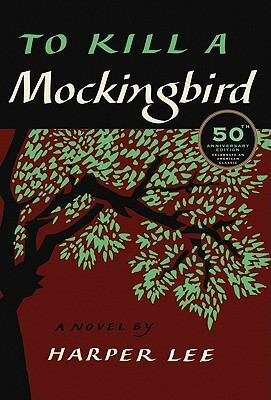 Posted on December 23, 2017 by Ava G.
To Kill A Mockingbird is one of those classic books that everyone has to read. 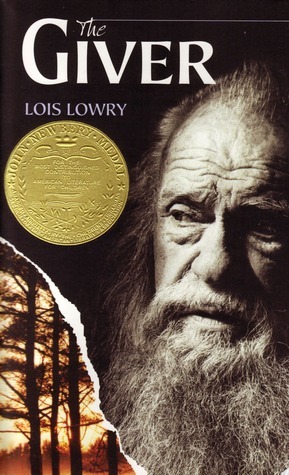 I was forced to read it in English class, which immediately meant I was a bit more reluctant to read it than a normal book and I admit, it is not the most action packed book. But personally, I felt that while reading the book, I grew really attached to the characters, especially Scout. She is a young girl who grows up learning about the prejudice in the world around her. Through following her story, you get really attached to her and, because of the way Lee writes the book, it really makes you feel like you are right there in the story. Which, really gives you a lot of insight of what the South was like in the 1930’s. Another thing I really like about this story is that the two main characters, Scout and Jem, are kids that act like normal kids. So, they can really grow up as the story goes on. Which really shows how life was like for them and how much influence other people can have on you. The second half of this book is defiantly way more interesting than the first half. So, I would really suggest finishing this book once you started it. Though I agree, that some of the beginning of the book moves slowly and can be pretty boring. 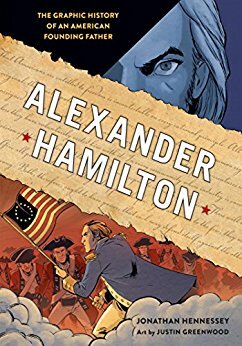 Though, the main reason everyone should read this book at one point or another is that is really just a part of our American history. It really shows how far we have come. Harper Lee’s To Kill A Mockingbird is available for checkout from the Mission Viejo Library. It is also available for download from Overdrive and Hoopla. Posted on December 21, 2017 by Jessica T.
Writing Prompt: Describe a character experiencing an unorthodox morning and their reflection following the morning’s events. Unfortunately for me, and quite controversially to my motto “life is dumb and I want to sleep”, I found myself stumbling in the muted shimmering light of the rising sun out to sidewalk with a water bottle in hand and athletic shoes snug on my cold feet. Yawning, I let out a puff of air, my breath leaving it’s mark in the air. Not that I was against physical activity or anything but sleeping in until nine o’clock then rising to sip some tea while reading a novel was just, simply put, preferable. My childhood friend, Jax (that garrulous, manipulative rascal), somehow made me comply to going on a hike at five thirty on a Saturday morning. Last night’s phone call was still vague and fuzzy in my groggy mind. I picked up my pace, feeling the cool air seep into the seams of my leggings and weave through the strands of my ponytail. An hour or so later, the sun had fully peeped its head out from behind the mountaintops and illuminated the windy path up to 48 Wiles Way, a crooked condo that perched itself on top of a hill overlooking the beach, surfboards and sandy towels scattered around the front door and on the balcony. Ten minutes of hacking through tough vines and unforgiving cacti led me to a meditating Jax, who was gazing at the surf, probably rating the day’s waves. My audible gasps for breath made him spin around and chuckle as if my failure was the best thing he’s seen all morning. “Hey, partner, let’s start this hike, yeah?” and without waiting for my response, he jumped up and his tan hand latched onto my fleshy, pale one and dragged me to the trail that led down to the rocky shore. The narrow trail, I discovered five minutes in, was home to various creatures, including cockroaches, rats and squirrels, who I was tempted to feed crumbs from my jacket pockets but thought better of it. I didn’t need a line of squirrels tracking me down looking for more old peanut butter toast bits. I was preoccupied with not tripping on my shoelaces and faceplanting. An overwhelming wave of sea air blew our direction, rustling the luscious foliage and invading my nose. It proved to be a new scent as my senses were accustomed to the wonderful aroma of brewing coffee and new books. Still, there was an appealing, delicious feature of the ocean air that made me want to grow wings and fly right over the cliff and into the sparkling blue waves. There was a beautiful array of flowers in the bushes we passed, a spectrum of magenta and fiery orange hues. Birds sang songs to each other but quickly flew away, startled when our dusty tennis shoes would slap the ground, sending up delicate clouds of brown dirt in our wake. By ten, the warm sunshine began to slowly engulf me, creating dark pools of sweat on my back but leaving me feeling exhilarated, empowered and free. I tore my jacket off and released a satisfied, exhausted whoop of excitement. Jax barked a laugh and followed suite. If a stranger were to look up from the sandy nadir, they would see two obnoxious teenagers, pounding the ground, making a rowdy mess of things. But if you saw it through my eyes, you’d see two individuals, sparked into happiness by the energy of the sun, starting the weekend off right in joyful relaxation. As we came to the final stretch, our shouts subsided and we let our huffing breaths fill whatever air the chirping birds and crashing waves didn’t. All too soon, the challenge came to an end and my beating heart leapt in time with the pounding water. When Jax and I found ourselves sprawled on the warm sand, still saying nothing but letting the summer atmosphere speak for us, singing about nature’s unique beauty and awesome power over humans, I scolded myself. Why had I never took up Jax’s offer on a morning run before? This is so beautiful and worth the early morning alarm! Jax turned and gave me a knowing grin as he watched my illuminated face, eyes studying the ever changing waves, lips curving into a permanent smile. Nature, I concluded, entices us, provides for us, awes us, and inspires us more and more, each time we step foot outside. Posted on December 21, 2017 by Maya S.
After reading her Six of Crows miniseries, I realized Bardugo had written a precursor trilogy introducing the Grisha world. Naturally, I wanted to know more about world of Ravka and its beginnings. If you are new to Six of Crows or Leigh Bardugo, both this trilogy and the Crows duology are standalone novels that can be read with or without the other. Now, let us dive into the murky waters of the Unsea. In an alternate-type of history, magical people lived among the common folk. They were called Grisha. Much like events in our own past, such as the Salem Witch Trials or religiously-driven peoples running riots, the Grisha were unliked and even killed by some. However, as they began prominently displaying their powers in Ravka, their home country, people started to treat the Grisha as royalty. Ruled by the Darkling, a mysterious leader flanked by highly regarded Grisha officials, everything in Ravka was alive. Except for the Shadow Fold, an equally mysterious stretch of forlorn land, its light diminished to nothing, and its only inhabitants being vulture-like creatures. This is where Alina Starkov’s story begins, as an orphan girl tested for Grisha powers. She and Mal, her best friend (also an orphan) trek together through the Shadow Fold and find a force a lot larger than the both of them. Leigh Bardugo has a talent for writing and creating a darker story, all the while still building and breaking crucial moments as another novel may. If you are new to both Bardugo and these series, I would definitely recommend checking them out, and if possible, starting with the prequel trilogy. 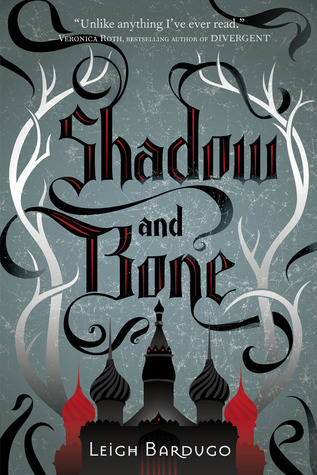 Shadow and Bone by Leigh Bardugo is available for checkout from the Mission Viejo Library.